The Umbrella Academy has reopened the debate on the Bechdel Test. 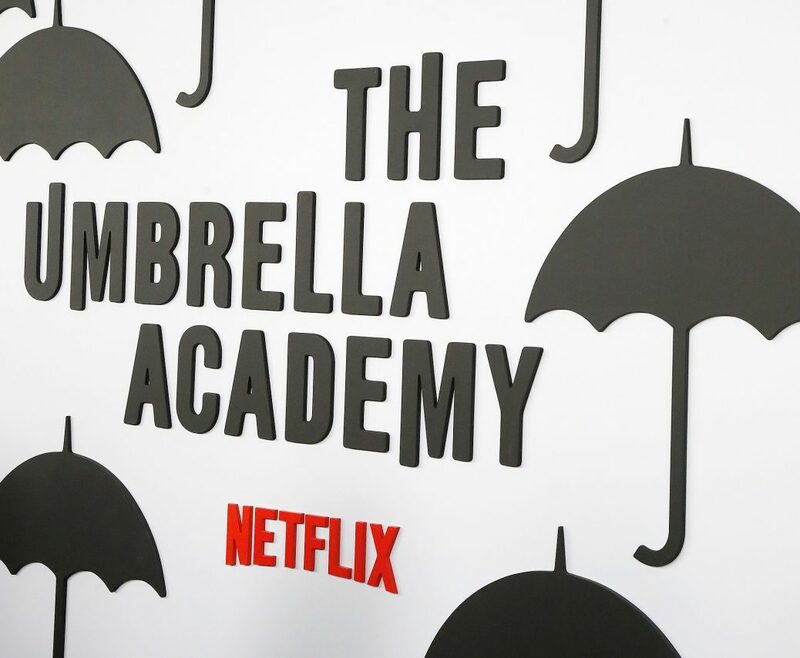 Ever since The Umbrella Academy dropped on Netflix, reviewers have been trying to make sense of the televised adaptation of the comics by Gabriel Bá and Gerard Way. With an eccentric billionaire, 43 simultaneous immaculate conceptions, a talking chimp for a butler, a robot nanny, time travel, impending apocalypse and seven misfit children with superpowers who can stop it all, the show is simply, as Vox succinctly deduces, weird. Yet underneath its ‘weirdness’ and misfit-superhero shtick, The Umbrella Academy unexpectedly invokes a debate about the popular feminist film criticism parameter, the Bechdel Test. Created in 1985 by another comic writer and graphic novelist, Alison Bechdel, the test provides a bare minimum framework for determining how women’s narratives are factored into film and television. The parameters seem simple: the film/episode has to have at least two women in it, who talk to each other about something other than a man, for a minimum of one minute. As basic as the criteria is, films and shows—especially superhero films and shows—routinely fail to meet it. Only 56% of Marvel and 40% of DC films pass the Bechdel test. Films that fail the test include top grossers and fan favourites like X-Men: Days of the Future Past and The Dark Knight Rises. These failures routinely prove that even with strong female heroes, superhero movies are disproportionately representative of masculine power narratives. Ostensibly, The Umbrella Academy is not any different. With only two women (out of a group of seven superheroes), who mostly talk to each other about their relationship with their partners and (male) family, the show fails the test at the outset. But here is what is exciting for woman’s narratives—in its final episode, it unwittingly sparks conversation about female narratives and toxic masculinity, without even using words. In doing so, it challenges how female narratives are read, and throws up some of the problems of using the Bechdel Test. In a plot reminiscent of X-Men, The Umbrella Academy follows seven extraordinary children, who were adopted and brought together under a single roof by an eccentric billionaire, who raises them as siblings and trains them to hone their powers. His parenting style is wanting, to say the least: not only does he not name the children (instead allotting them numbers according to the time of their birth), he isolates Number Seven, played by Ellen Page, from her siblings because she shows no visible signs of power. From the outset, Number Seven/Vanya (she is named by her robot nanny) is characterized as weak, is separated from her brothers and sister, and lacks a visible say in matters. Number Three/Allison, Vanya’s sister, is the only woman besides Vanya in a group of cis-, mostly white and mostly straight men. Unlike Vanya, Allison has superpowers: she can manipulate reality with the phrase “I heard a rumour”. This does not mean Allison is a revolutionary female hero—if anything, she idealizes patriarchal expectations of femininity: most of her social selfhood is characterized by her feminine beauty, and her motherhood. Often, she has to perform the emotional labour to keep their family together. When she talks to Vanya, it almost always focusses on Vanya’s love interest or her relationship with her brothers and father. On the other hand, Number One/Luther is the leader, whose superpower is supreme physical strength. Part of asserting this strength means dominating over those who do not wish to engage in violence. Even as a young teen, Luther dominates his younger brother, Number Six/Ben, and telling him he “has to fight” even when he is reluctant to do so. In many ways, Luther visibly epitomizes the masculinity which is valorised in male superheroes: he has golden good looks and massive muscles. On the surface, it seems as though there is nothing fresh or challenging about these depictions. What makes The Umbrella Academy, unique, however, is how it subverts and challenges these expectations, especially in the final episode of the series. While the importance of family is a key aspect of the series, nothing is as important as sisterhood. Throughout the series, Allison is the one that most warmly connects with Vanya, who has been ousted by her family. She makes overt efforts to foster a relationship with Vanya and looks out for her. In the final few episodes, when Vanya discovers that she has always had powers, what cuts most deep is the fact that a young Allison was unwittingly complicit in this. Vanya sees this as Allison cheating her of her powers—and more significantly, the sisterhood that they had been fostering. In anger, Vanya strikes Allison and causes her to lose her voice. Luther, in the familiar narrative of protecting the ‘damsel in distress’ (Allison) and upholding patriarchal duty by following his father’s wishes, locks Vanya in a cell. In typical superhero narratives, these actions are construed as desirable by fans as well as in the progression of the storyline. In an atypical show like The Umbrella Academy, this is not the case. For most fans, this action spawned multiple subreddits and YouTube comments dedicated to hating Luther. His actions were read as a foolishly subscribing to his father’s model of the world, which preaches patriarchal control over ‘untameable’ feminine strength. Within the universe of The Umbrella Academy, this action ultimately causes Vanya to enter a raging fugue that causes their childhood home (and ultimately the world) to get destroyed. What is significant is that as Vanya proceeds to destroy the world around her, she is completely silent, not speaking once in the entire episode. Allison, having lost her voice, never speaks either. This is in complete opposition to the first principle of the Bechdel Test, which requires two female characters to at least speak. Yet despite their silence, Vanya’s raging frenzy and Allison’s deep understanding (which ultimately stops her anger) typify two expressions of female power, which ring louder than words can. That the power of these wordless interactions of women is side-lined is repeatedly highlighted in the episode. Even when Allison silently insists that her brothers’ attempt to ambush and force Vanya into “calming down” (in a typical display of masculine strength) will not work, her voice is drowned out. That her reaching out to Vanya is ultimately what stops her provides a viable alternative to the narrative of aggression-as-solution present across the superhero genre. 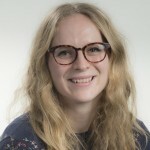 Despite the wide use of the Bechdel Test to assess films, it has been repeatedly criticised for not always resulting in a feminist list of films, because of its emphasis on quantitative rather than qualitative metrics. For example, Fifty Shades of Grey, which is arguably less feminist than Mad Max: Fury Road, makes the cut for the Bechdel Test, while the latter does not. Using this as a standard of reading films, while useful, is nonetheless uncomprehensive. The Umbrella Academy raises questions by eliminating the most basic of Bechdel tenets: the speaking female. In its absence, it still makes powerful statements about female power, masculine aggression and sisterhood, in both the series-verse and real life, where female voices are drowned out and controlled. Yet women have historically found ways of communication and bonding based on complex emotional experiences, even when it is wordless. By creating Vanya’s and Allison’s narrative, the show emphasises the power and importance of precisely this. the Bechdel test is almost irrelevant for female expression. “feminine” communication is beyond words – through emotion, acceptance, comfort, expression, body language, actions, tone. why should female empowerment be based and evaluated on another medium of speech? also the power dynamics with their “father” is interesting. he systematically gaslit Vanya into her inadequacy complex, rendering her voice powerless. and he used Allison, the only other girl in the family, and controlled her power to “speak” to silence Vanya. the patriarchal control over the two silenced them both and pit them against eachother.